2019 began our inaugural, winter indoor track season of our NRC youth team. We have been offered the prestigious track at St. Anthony’s high school to provide youngsters a first-ever winter season. REGISTRATION IS NOW CLOSED FOR THIS 2018-2019 WINTER SEASON! During this winter season we will teach all aspects of running form—arm swing, foot placement, posture, mental and physical focus, stride length, cadence, etc. No matter what your sport of choice is, running is the basis of all! There will be no jumping or throwing events—just FUN running! Apply only if you can commit to at least 7 weeks and only if you’re ready to take your running to the next level. Parents are encouraged to remain and observe all that your kids are learning. Watch our Weekly News Board for the latest information. Our spring, summer and fall seasons are comprised of 9-13 year olds who love to run, but through drills and formal instruction, learn the finer points of running with proper form. Many who enter our program go on to run on their middle school and high school teams. Others take this knowledge and run more efficiently on their selected team sports. One way or the other, running is the basis of EVERY sport. Cost: Seasonal fee of $85. We encourage the kids to wear their club apparel during any local competition whether it be track and field, road racing or cross country. Competitions: USATF track meets and local road races are optional, but we encourage their participation. During each practice we ask the kids to share their most recent successes in whatever sport they are involved in. 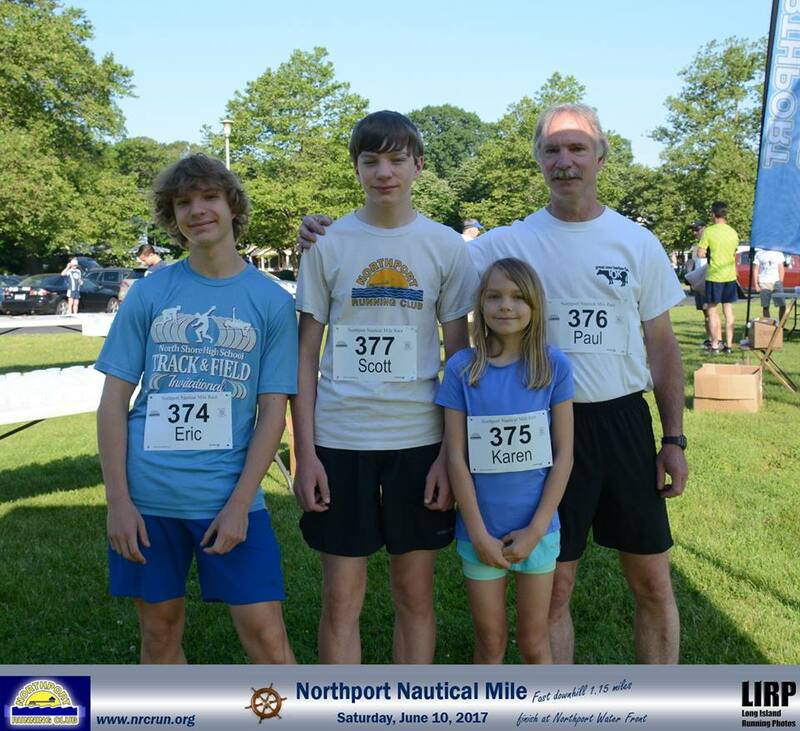 2014 was the inaugural year of Northport Running Club’s youth running program where we registered 30 youngsters in the spring season and another 40 that summer. Following this exponential growth season after season, year after year, our 2018 enrollment numbers incredibly reached 120 registrants for each of the spring and summer seasons. To date we have had over 1200 families come through our program! Many of our athletes are now on their middle and high school cross-country and track and field teams because of this fun introduction to the wonderful world of running, jumping and throwing. 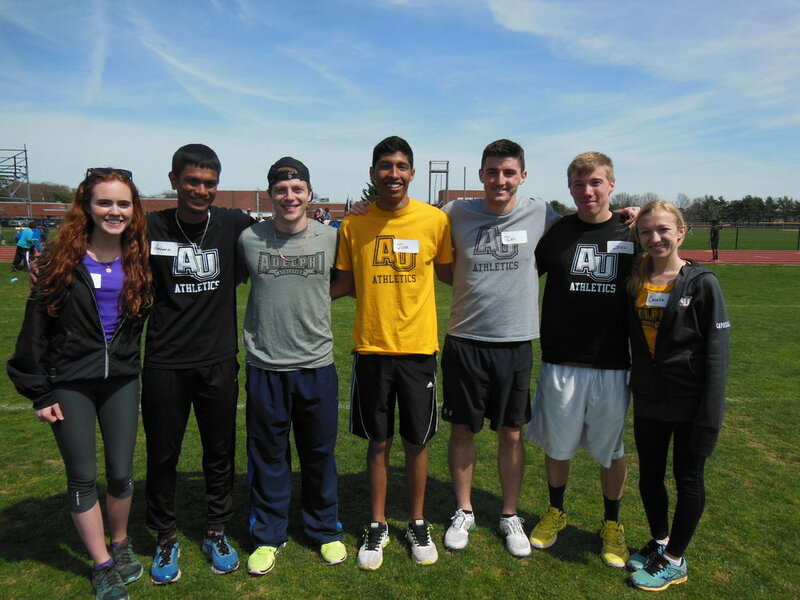 Each season is filled with energy, excitement and tons of fun, especially with the volunteer efforts of some incredibly talented Adelphi Track and Field/Cross Country athletes. There's nothing like seeing the passion of a college athlete exude through his/her entire being as he shares his knowledge and experience with the next generation. The spring and summer track and field seasons focus on the fundamentals of running-form and technique, track terminology, understanding distances from the dashes and hurdles to mid-distance, as well as field events including the turbo javelin, discus, shot put, long and high jump as equipment availability is accessible. The fall season is all about trail running on the most beautiful trails of the country - Makamah Park Preserve, Meadowlark Park Preserve, Hoyt Farm, Greenbelt Trail, Sunken Meadow and so many more. This program is for both the competitive athlete, as well as those who simply want to be part of a running club, but not necessarily compete...yet. 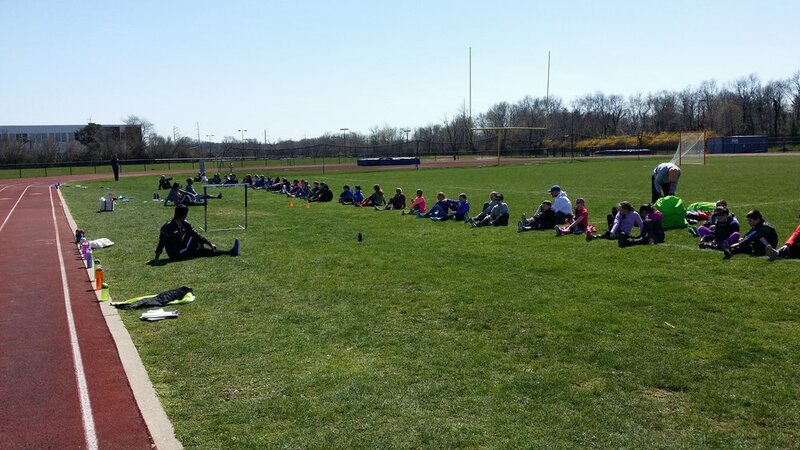 Our coaching philosophy is to present a fun and exciting running program to the local youth of Long Island. Our bodies are born to eventually run. Just as soon as babies walk, their little legs move in rapid succession one after the other, and then they run. Kids run fast until they tire, rest for a moment then take off again. Our desire is to harness that desire to run within a fun, organized setting and prepare their developing wings to soar to greater heights. Some very special friendships have been formed among our young runners that have continued far beyond the track or trails. We encourage the kids to socialize and learn about their teammates. We spend time sharing stories and ideas to encourage overall fitness and a healthy lifestyle while discussing short- and long-term goals from day one. This is a club where everyone is supported and encouraged as they learn what it takes to cross a finish line. 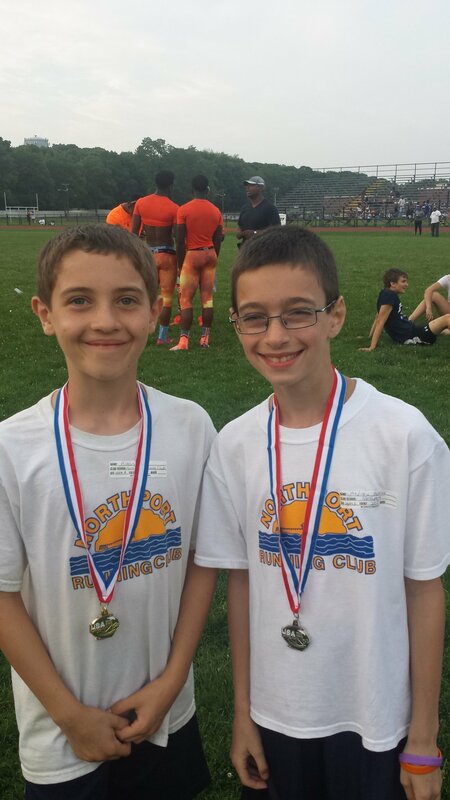 Northport Running Club Youth Track and Field Program, coached by Vicki Fox, Pat Viola and assistant coaches from Adelphi University.